SIT probe found two lists that had 34 people as targets. Theatre personality Girish Karnad was number one on a list, with Lankesh second. State security has been provided to the apparent targets. 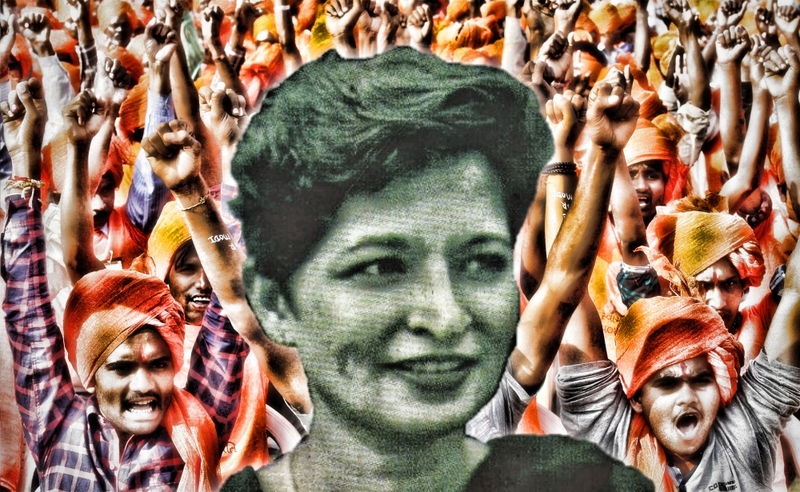 Journalist and activist Gauri Lankesh’s name was on an apparent ‘hitlist’ that had the names of 33 other people, including theatre personality Girish Karnad, the Special Investigation Team (SIT) of Karnataka police has revealed. According to an Indian Express report, two such ‘hitlists’ were found in the possession of Amol Kale (36), who was arrested in May. Lankesh’s name was second on a list that had a total of eight names. Theatre legend Girish Karnad’s name topped the list. The other list included 26 targets. The SIT believes the lists were drawn up in July 2016. Lankesh was shot dead outside her residence on September 5, 2017. The SIT has arrested two more suspects in relation to the killing, taking the total numbers of suspects arrested in the case, to nine. A Mangalore-based state government employee working for the education department was recently arrested for training the killers how to fire a gun, according to the Indian Express. All the suspects are linked to extremist Hindu groups such as Sanatan Sanstha and Hindu Janajagruti Samiti (HJS). Amol Kale, in whose possession the diary was found, is a resident of Pune and a former convenor of the HJS. The SIT said that Lankesh and others on the lists were chosen as targets because of their opposition towards radical Hindutva and superstitious practices. All the people mentioned in the list have been provided state security. “These lists were some kind of tentative collection of names compiled at the end of discussions by a small group of people. They seem to be random lists which would undergo changes. Though Lankesh was named at no. 2, she was targeted first,’’ reported the Indian Express, quoting a police source. Mysuru-based writer and academic K.S. Bhagwan, Kannada writers Yogesh Master, Chandrashekhar Patil and Banajagere Jayaprakash and former Karnataka backward castes commission chairman C.S. Dwarkanath were also listed as targets of the group. Nidumamidi Swamiji, a seer opposed to superstition, was also a target. The police have also provided security to literary figures Patil Putappa, Nataraj Huliyar, Baragur Ramachandrappa and Chennaveera Kanavi. Rationalist Narendra Nayak and S.M. Jamdar, the former IAS officer and proponent of separate religion status for the Lingayat community, were also provided state security. Other documents found in Kale and associate Sujeet Kumar’s possession reveal a network of at least 30 people engaged in planning and execution of killings of those opposed to Hindutva. Sanatan Sanstha, established in 1999, has been accused in several high-profile killings and 2008 Thane and Vashi bomb-blasts. The Hindu Janajagruti Samiti, registered in 2002, is an offshoot of the Sanstha. The HJS’s stated aim is to establish a ‘Hindu nation’. In September last year, The Wire had reported that Sanatan Sanstha and HJS were emboldened by political patronage facilitated by the BJP’s decisive victory in Goa. In 2012, after the BJP won a majority on its own in Goa – propelling Manohar Parrikar to the chief minister’s post again – the Sanatan Sanstha and HJS became increasingly assertive. In 2012 itself, the groups went into overdrive to put together the first All Indian Hindu Convention “for establishment of Hindu Rashtra”. The convention since then has become an annual event, as The Wire has reported. A week after Lankesh’s murder, preliminary reports said that the same gun was likely to have been used to kill Kannada author M.M. Kalburgi. In addition, Sanatan Sanstha or HJS members have been arrested for their suspected role in killings of rationalist Narendra Dabholkar and communist Govind Pansare as well.